They say travel broadens the mind, but it also alters the world around us. In 2019, people are travelling more than ever and sharing our experiences every step of the way. 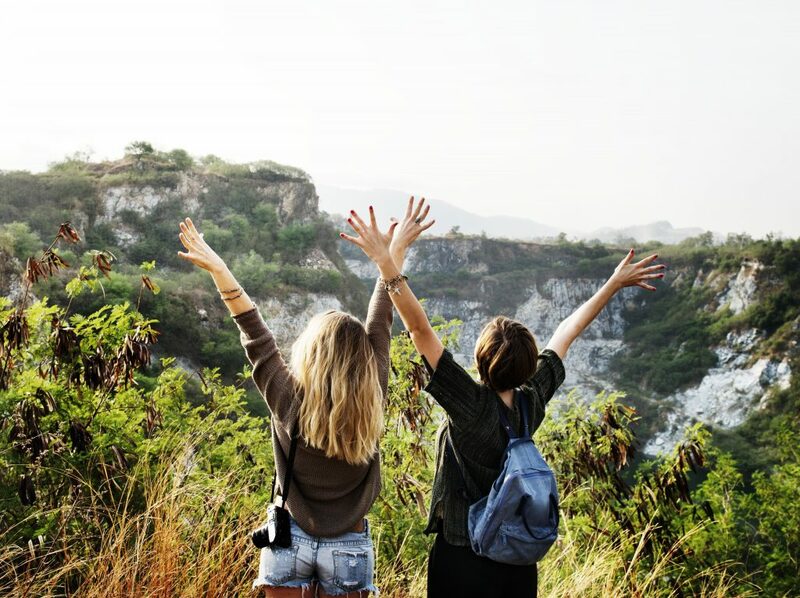 Word of mouth, media, and travel writing encourage tourists to flock to famous destinations because of their beauty, food, rich history, or some magical combination of the above. Ten years ago, words like ‘selfie,’ ‘Instagram,’ or ‘influencer,’ were barely in the lexicon. Now these things are fueling a massive boom in the travel industry, and not always for the better. In fact, in some places, this onslaught of hype is resulting in devastation. Through our eagerness to see more of the world, we’ve created a paradox. 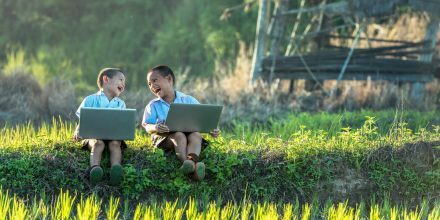 We see a place online, it’s beautiful, it’s serene, it looks peaceful, idyllic, and we want to discover more. So we flock to it, overcrowding it, polluting it, and destroying the reason we wanted to go there in the first place. Local governments and developers all over the world are responsible for over-tourism, but the truth is, so are we; we have to be cognizant in our travel choices now more than ever. There are thousands of guides online and in print about where to visit next. The hot destinations of 2019. The world’s best beaches, historical sites, monuments, islands, cities and more. But sometimes, in the travel world, when something is considered ‘the best,’ that’s when you end up with something like Maya Bay on Koh Phi Phi Leh — once one of the most spectacular and isolated places in Thailand, featured in the movie The Beach with Leonardo Dicaprio. As the story goes, Leo’s character is banished from his new friend group for unknowingly bringing more people to the mysterious island. In the aftermath, things start to unravel and death, decay, and devastation follow. At the time, the movie had no idea it would become a metaphor for the future of tourism in Thailand. Fortunately, Thai officials have decided to close Maya Bay indefinitely in the hope that it can recover from the massive amount of pollution and litter that has wrecked the bay’s marine ecosystem. It’s something we as tourists, visitors, backpackers and travellers can and should help to tackle. These are the world’s most incredible destinations that are being destroyed by excessive (and reckless) tourism. We’ve split them up into different categories, based on the cause of their decline. We all know the drill: there’s always that one spot in a country that everyone on Instagram seems to flock to. There are tonnes of them, and you only have to scroll down your feed of travel influencer wannabes to spot them. Here’s a list of places that are being ruined by their own online popularity. 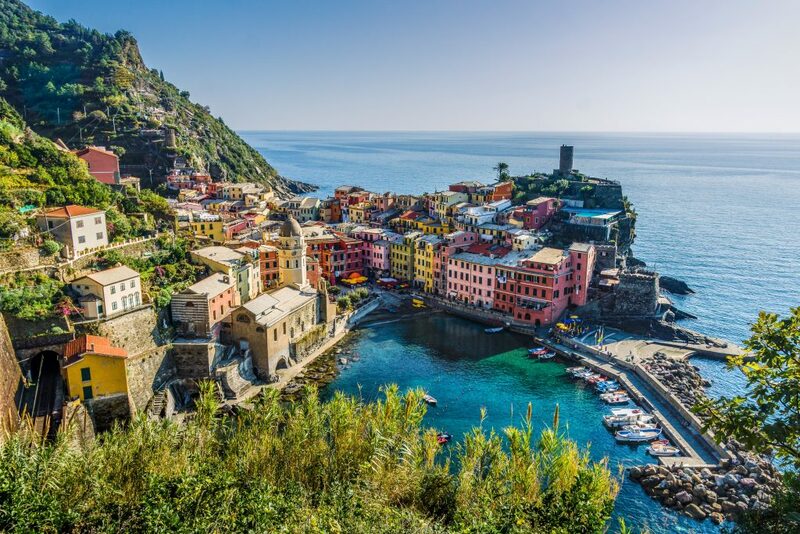 The enchanting coastline of Cinque Terre would entice anyone, with its quaint towns set amongst the rugged hills. But it’s not quite so charming when you’re having your toes stepped on by a thousand other people trying to photograph the view. Access to certain areas has already been capped, and Italian tourism officials are encouraging travellers to pick other parts of Italy to enjoy in the peak season. Bali is paradise wrapped up with a bow. Each year the island towns become more developed for tourism, and the natural environment becomes more compromised. In 2017, Bali suffered a ‘garbage emergency,’ where some of the most popular beaches became more trash than sand and the ocean was inundated with plastic waste. Bali deserves a break, and with a reported 18,306 other Indonesian islands to discover, there are plenty of alternative choices. 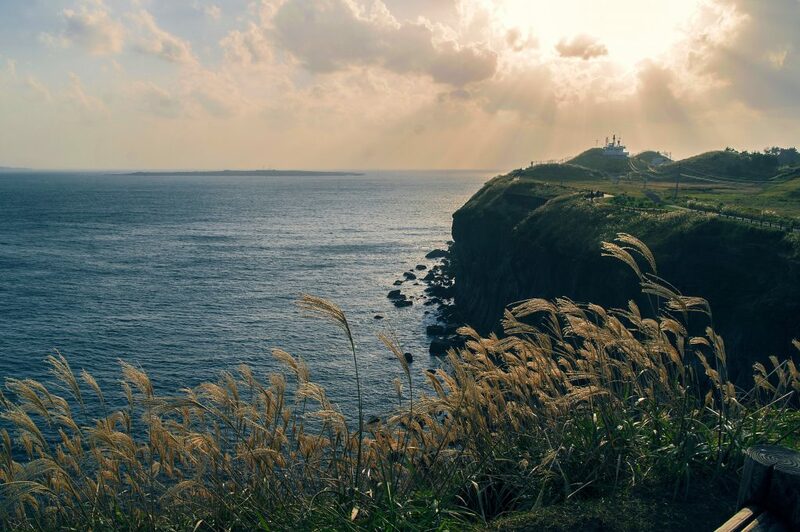 A relatively small island off the South coast of South Korea, Jeju welcomes a gargantuan 15 million tourists a year. The island is used for day trips by many Chinese tourists who can access it via 180 flights per day — meaning their money is going into airline coffers more than into the economy of Jeju. Sadly, matters are only set to worsen as talks of another airport are ongoing. 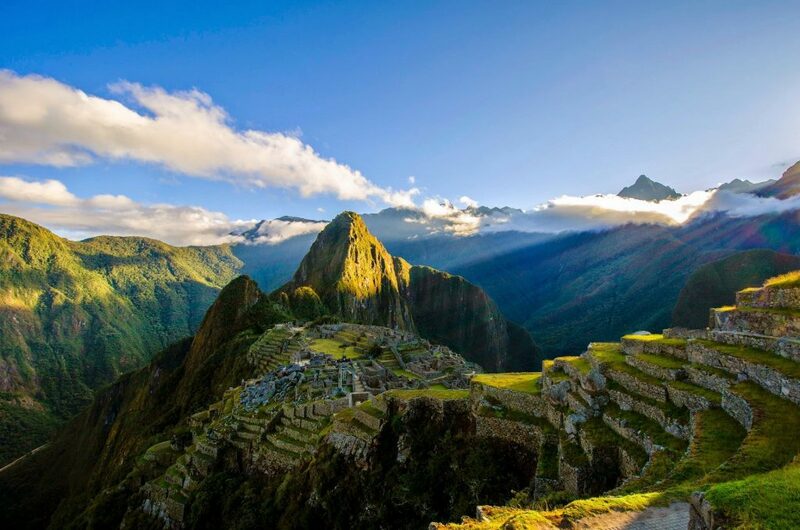 The hike to Machu Picchu is grueling, but that doesn’t stop the throngs of tourists who battle the altitude to reach it. 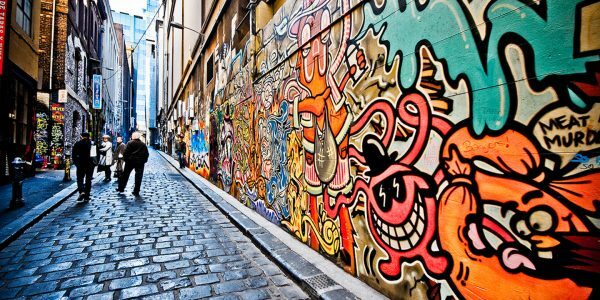 Once a city built for 1,000 people, in the 21st century more than 5,000 tourists flood the site every day, battling for a place to take photos among its paths and steps. Tourism authorities are implementing time slots for visitation in an attempt to control the foot traffic, which is damaging this centuries-old structure. Everyone wants to see the ruin but no one wants to see it ruined. 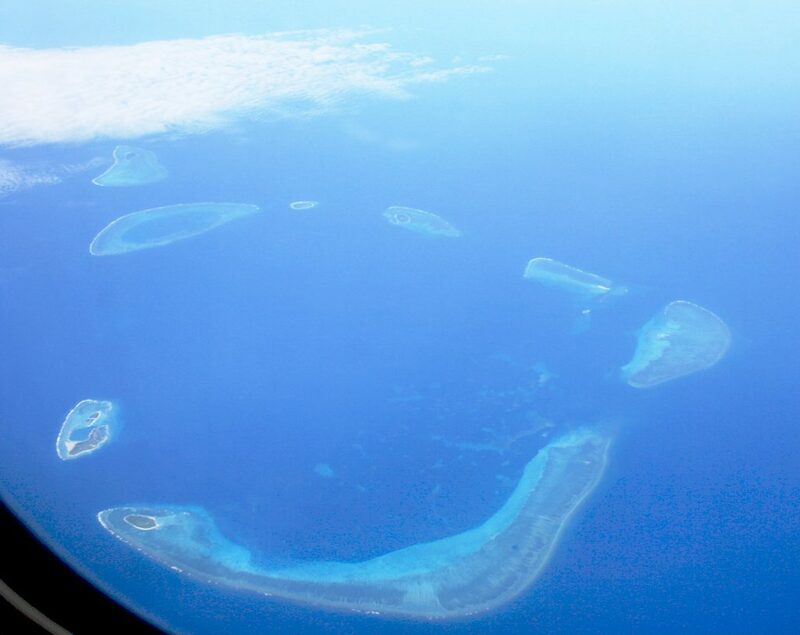 Ever heard of the Paracel islands? Me neither, but the majority of China has after the islands were opened to tourism in 2016. There’s a dispute over the ownership of the islands, so control is hard to exercise. Tourists began fishing, hunting, and cooking the islands’ many endangered species, flooding social media with pictures — and the islands with trash. The biodiversity in the Paracels is under serious threat if the Chinese government doesn’t step in. Part of the Paracel Islands. 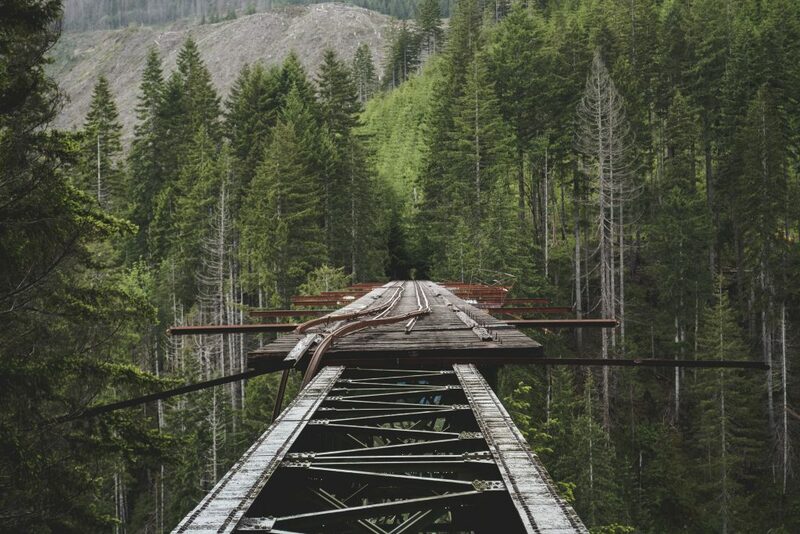 Instagrammers flock to the Vance Creek Bridge in Washington state to prove their bravery, dexterity, and complete stupidity. As the second-highest railroad arch in the U.S., it attracts thrill seekers anxious to post photos of themselves balancing and hanging from the jaw-dropping heights of the wooden bridge. No harm is being done to the actual structure by taking silly pictures, but popularity on social media has attracted arsonists who have set parts of the bridge on fire. This has seriously endangered its structural integrity. As a result, the bridge is now in the process of being dismantled and will soon be enjoyed no more. Santorini is undoubtedly stunning, but so are many other parts of Greece. 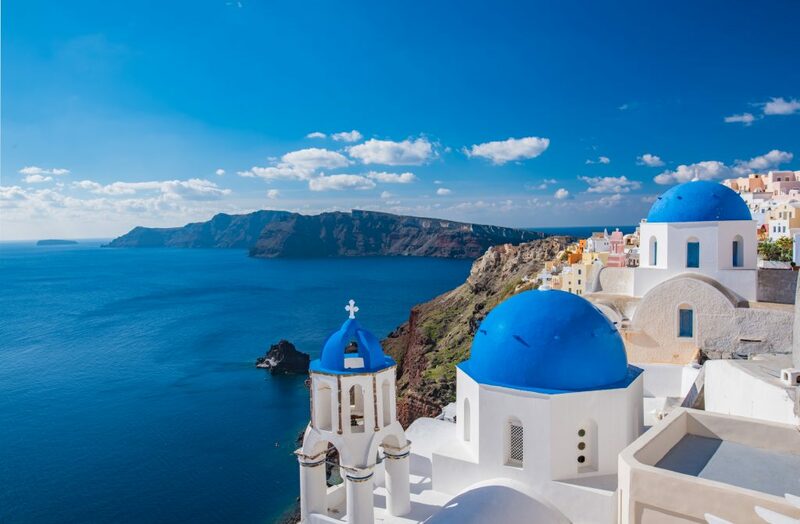 Instagram has had a huge effect on Santorini, with people crowding to get that perfect shot of themselves in a hat viewing a dazzling sunset amid the blue roofs of Santorini. Fun fact: There’s only one blue roof, belonging to the church. That means 8,000 people (the tourist cap) are vying over a very tiny spot from which to snap a pic. Imagine 8,000 people standing in your back garden on the hottest day of summer? That’s enough to put anyone off their morning croissant. Iceland has a population of a mere 330,000. But 1.26 million visited this island nation in 2015 alone. Since the tourism boom, the whole of Reykjavik has become a bustling hub of travel activity. In recent years, no one seems to remember the giant volcanic ash cloud that grounded airlines the world over in 2010, and somehow people remember the 2008 worldwide financial crisis and its impact on Iceland even less. 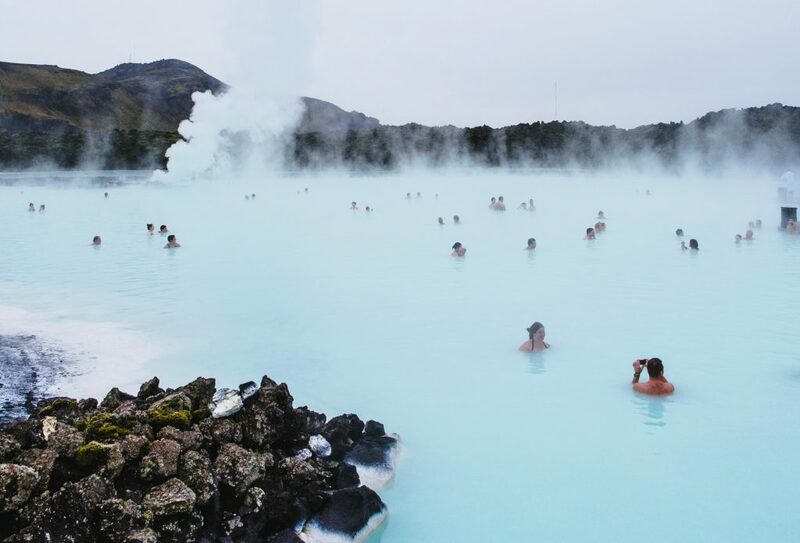 In Iceland, no attraction is more over-visited than the Blue Lagoon. There are actually many other hot spring pools in Iceland, some of them exist in a perfect wilderness and you’ll have them entirely to yourself. The adventure is finding them. Iceland is a wonderful place to visit, and there are many more gems to discover on the road than just hot springs and the Northern Lights. 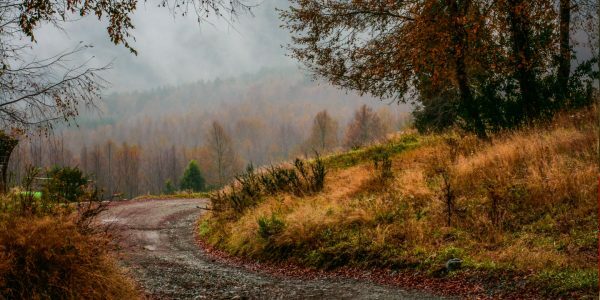 Make your trip an adventure to remember by touring the country in a camper van or at least by driving to each new and awe-inspiring destination. Don’t just take a hop skip and a jump into the blue lagoon for a lazy weekend of Instagramming. After receiving the coveted trophy of ‘most sought-after beach destination’, this undiscovered paradise quickly became a tourist trap. Instead of a paradise, it’s now referred to as a “cesspool” by none other than the Filipino president. Sewage from the badly organized infrastructure of the tourist market flows into the ocean at an alarming rate. Last year, 6.6 million people visited this island, which measures barely 4 square miles. 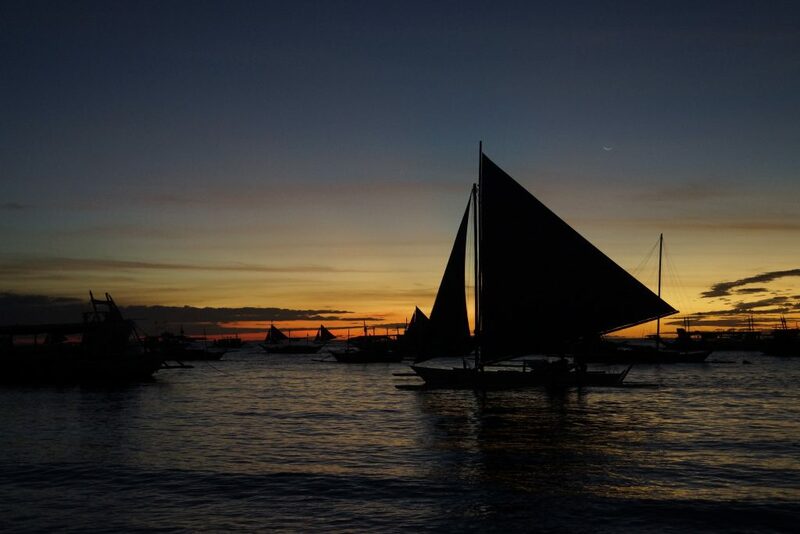 Boracay is now closed to visitors until a sustainable system can be arranged. The Philippines is made up of approximately 7,640 islands, so why should we all choose the same one? Many of the most popular sites around the world are victims of overcrowding. Though jam packed cities and sites can ruin the overall experience for a traveller, the problem brings far worse repercussions for the sites themselves. Walls are being worn away, infrastructure is on the brink of collapse, and in some places the very walls and floors are on their last legs. If it wasn’t enough that Venice has been sinking into the sea for years, the once-great city has come to resemble a theme park. No one actually lives in a theme park, the place just gets overrun with hoards of tourists day in day out. That’s exactly what Venice is becoming. It’s estimated that by 2030 Venice will no longer have a single Venetian resident. Rising rents caused by companies such as AirBnB have forced the locals out of their dwellings. Nowadays, the only people you’ll see in Venice are other tourists. Another massive problem facing Venice is the insurmountable amount of tourism it receives from cruise ships. Cruise ships bring a variety of problems. Hoards of people swell into the city at the same time, leaving pollution and overcrowding in their wake, but he worse damage comes from their negative effect on the economy. 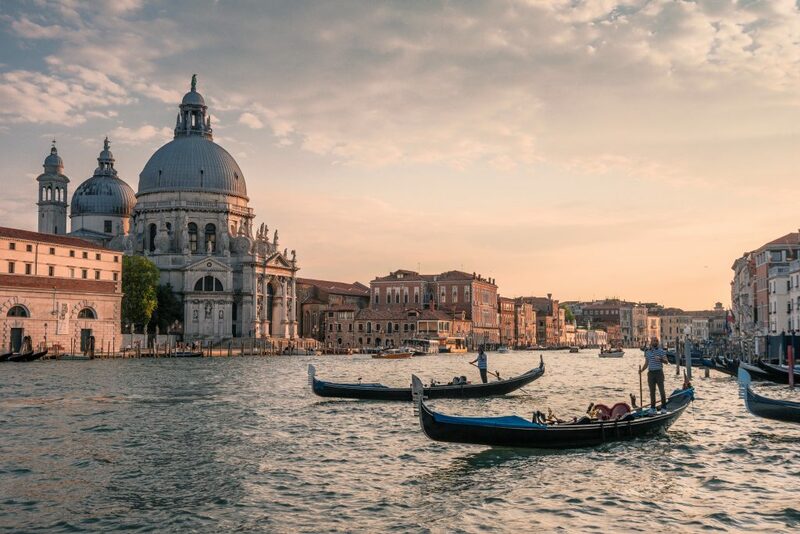 Some cruise ship visitors are just in Venice for a short stop, rather than renting a place in the city; some of them are on all-inclusive meal and entertainment packages on their ships and therefore aren’t visiting local restaurants or buying food in the streets. Consequently, little to no money is being filtered back into the economy in Venice from these short-term visitors. They come, they leave their trash on the streets, and then they leave. Barcelona is the most visited city in Spain, and after years of straining at the seams, even the locals are starting to hit back with their disdain for tourists and the touts they attract. Protests have even turned violent as the problem becomes prolific in the peak season. 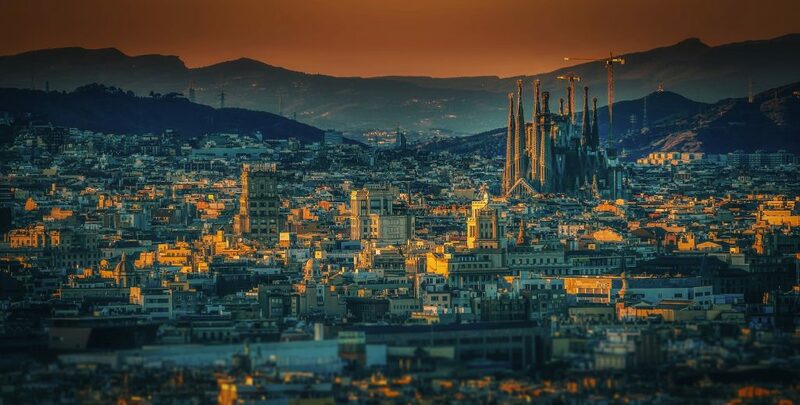 If you’re still drawn in by the many intrigues of Barcelona, visit in the offseason, stay in the quieter areas away from La Rambla, and treat the city and its locals with respect. 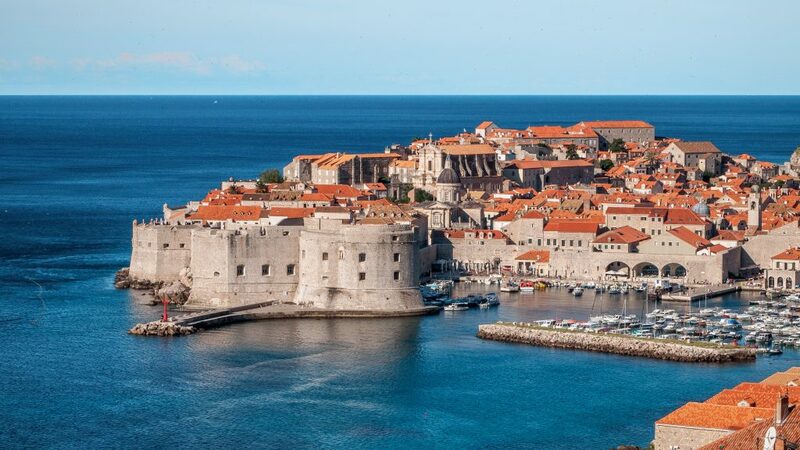 Since Game of Thrones hit our screens, more and more ‘super fans’ have hit the streets of Dubrovnik, one of the principal shooting locations for the show. The delicate city struggles to handle the footfall. The mayor has subsequently reduced the number of tourists admitted to the city from 8,000 per day to 4,000 per day. 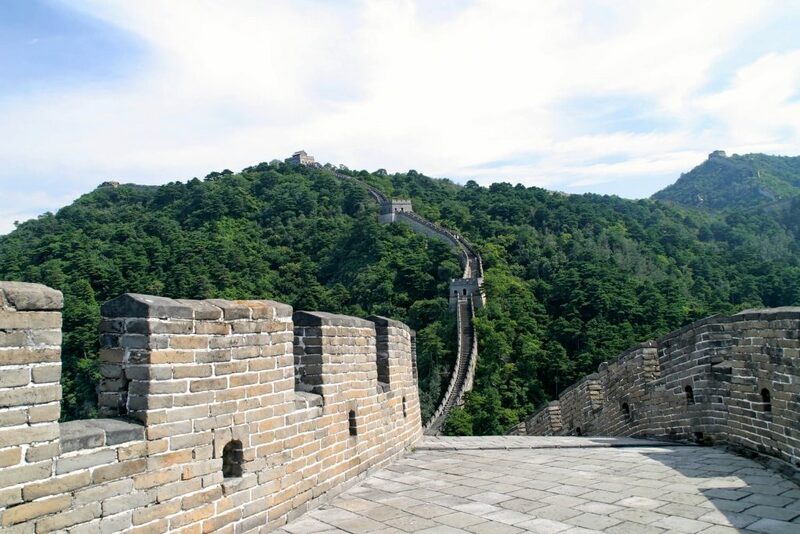 Topping many bucket lists, the Great Wall of China is admittedly enormous, with plenty of space for visitors willing to walk the walk. The problem is that everyone and their grandma flocks to the same spots to grab their own version of the ‘unique’ experience. But there are actually tonnes of spots along the wall where you can be in complete serenity. Hire a good guide and you’re sure to discover a private place of your own where there’s nothing but you and your boots between the old ruins of the original wall. The sounds of a thousand tourists will be far off in the distance ogling bricks with about as much history as a satsuma. 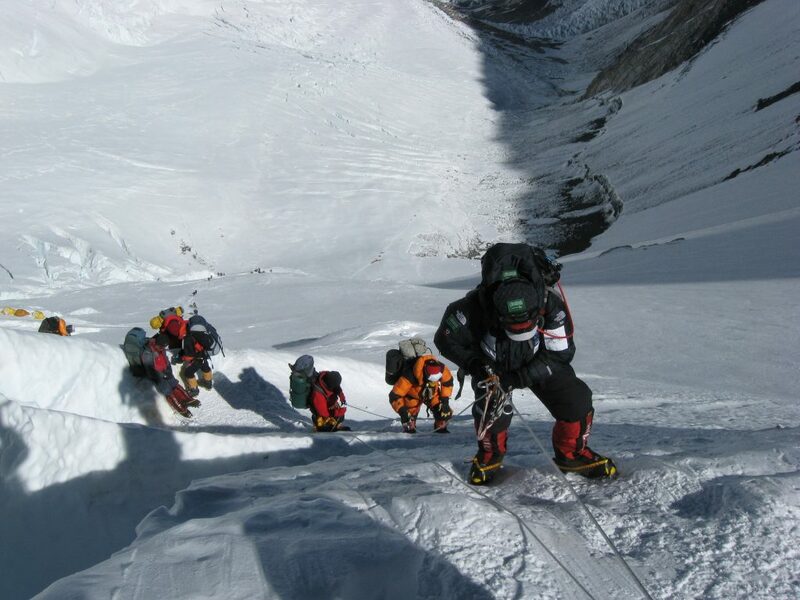 Mount Everest is the most famous peak in the world, and thrill seekers have made the pilgrimage to conquer its lofty heights for decades since it was first summited in 1953. Some intrepid couples even take their vows after battling the treacherous climb to basecamp. 1,000 foreigners head to the Himalayas every spring to take on the challenge. If you’re looking to scale the tallest peak in the world, you’ve found it. But crowd-free peace and isolation don’t accompany it. 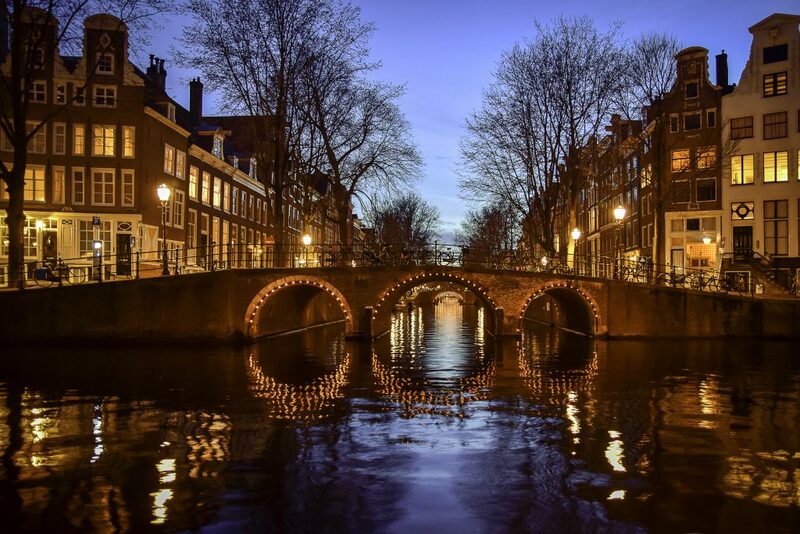 Amsterdam is another small city suffering from the Airbnb effect; rising rent prices caused by the tourist boom have forced locals out of the city and surrounding canals. The city of Amsterdam has consequently put restrictions in place so that no property can be rented for more than 60 days in the year and for no more than 4 people. Exploring the magical limestone karsts and islets that seem to deny physics has been the quintessential attraction of Halong Bay for many years. 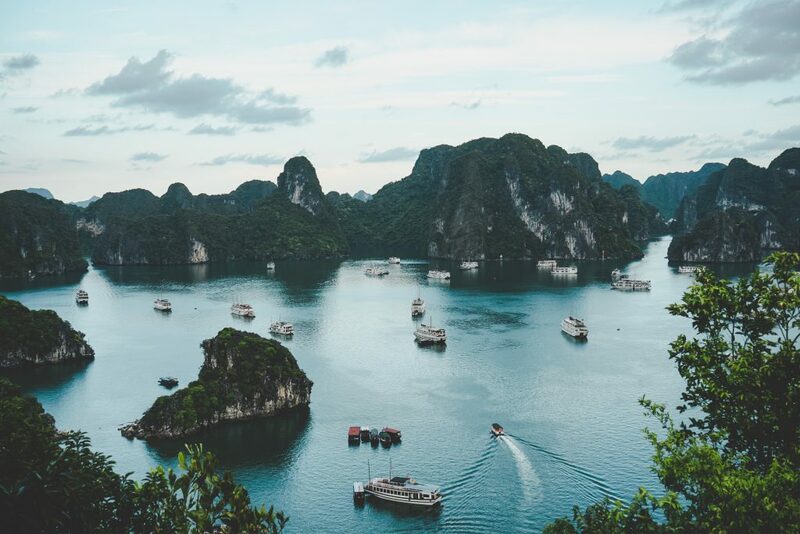 The best way to see them is by chartering a traditional Vietnamese junk boat and floating through the bay. Though you’re on the water, the waterways can get just as congested as a motorway in rush hour jostling for the best position to view the caves and grottos in the UNESCO World Heritage Site. 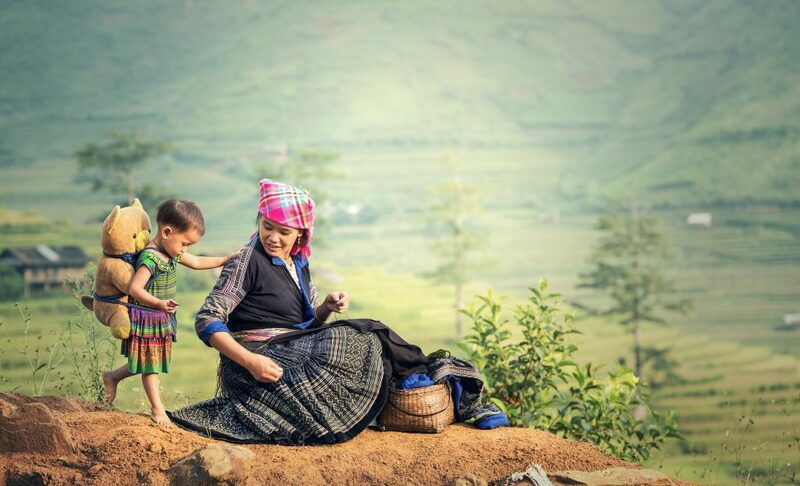 There are far better places to get off the beaten track and enjoy the calm natural beauty of Vietnam. The Taj is exquisite. There is no denying the grandeur of this most opulent mausoleum. The symmetry is mesmerizing, the workmanship commendable, the surroundings… crowded. 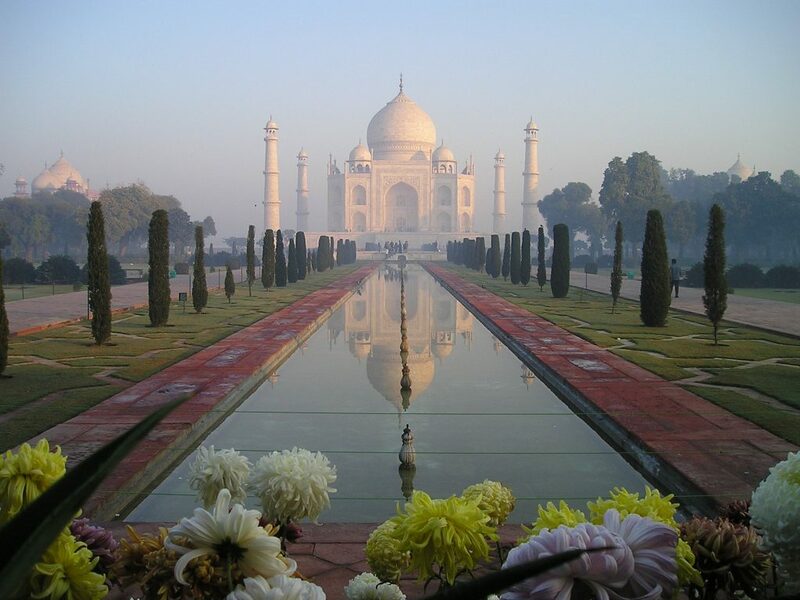 Far from a quiet resting place for Mumtaz Mahal, the deceased wife for whom the monument is dedicated, the grounds around the building are a circus of tourists, touts and tour guides. The lotus pond perfectly reflecting the Taj in all its glory is perhaps the only calm corner of the place, and you’ll have to stare deep into its depths to find any sense of serenity here. 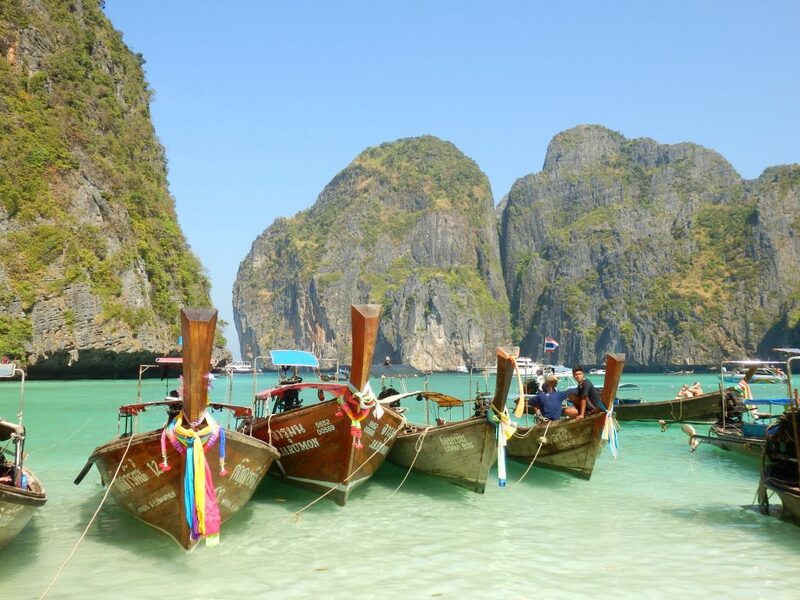 Maya Bay isn’t the only island in Thailand that’s being affected by the masses. 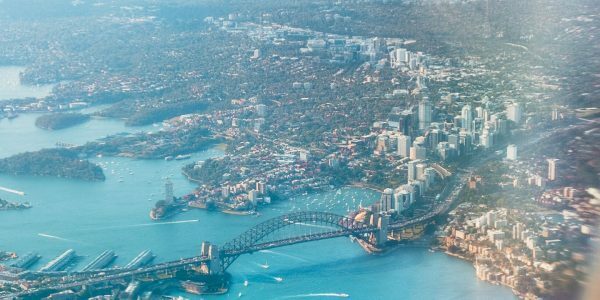 Tourism is a massive part of the economy, but it’s the kind of tourism that it attracts that is having a detrimental effect on the environment. People come looking for the sun, the sand, and most egregiously — the party. While the full moon party is the main attraction for party-lovers on the Phi Phi islands, the garbage and pollution they leave behind is destroying the ecosystem. The government is doing what it can to block off access to islands that are suffering, tourists need to be more responsible for their behaviour, and perhaps travel to the lesser visited beaches. Many sites are straining through overcrowding, but some damage at the hands of tourists is more sinister. Like the tourist who carved his name into the Colosseum, or the girl who took an illegal bath in the Trevi Fountain in Rome. One person fell to their death off Trolltunga in Norway trying to take a good selfie. Then there was the truck driver that ran over and snapped the Tree of Ténéré in half. Everyone must take a step to be a responsible traveller before we lose some of these incredible sites for good. The tempting island of Cozumel is the ideal warm getaway with lush views over azure waters. As a hotspot for Americans and Canadians, it’s another site threatened by the destructive nature of cruise ship tourism. Considered one of the most popular cruise ship destinations, the main attraction was the coral surrounding the coast. Was. Since the 90s, most of it has been damaged beyond repair by pollution, boats ramming into it, and tourists breaking bits off to keep as souvenirs. A whopping 3.6 million passengers dock in the port every year, so the sleepy town of Cozumel is a memory of the past. 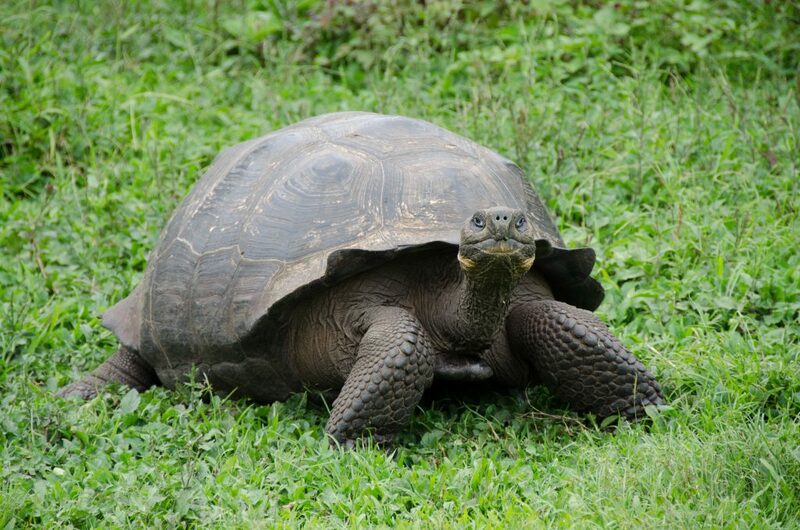 The Galápagos Islands have the remarkable distinction of providing a home to the highest concentration of unique wildlife of anywhere in the world, including the enormous Galapagos tortoise. The remote isolation and pristine environment are to thank for the thriving species. Of course, with such rich biodiversity, it attracts tourists interested in appreciating its famed natural bounty. Between the 1960s when tourism began and the present day, numbers have swelled from 1,000 guests per year to over 180,000. The Galápagos were listed as an endangered UNESCO World Heritage Site in 2007. Now there are strict guidelines for exploring the islands, and you are required to hire a licensed guide. Most people should stick to enjoying the island via David Attenborough’s enchanting narration on his series – Galápagos. The Little Mermaid is the little bronze statue sitting on a rock in Copenhagen. 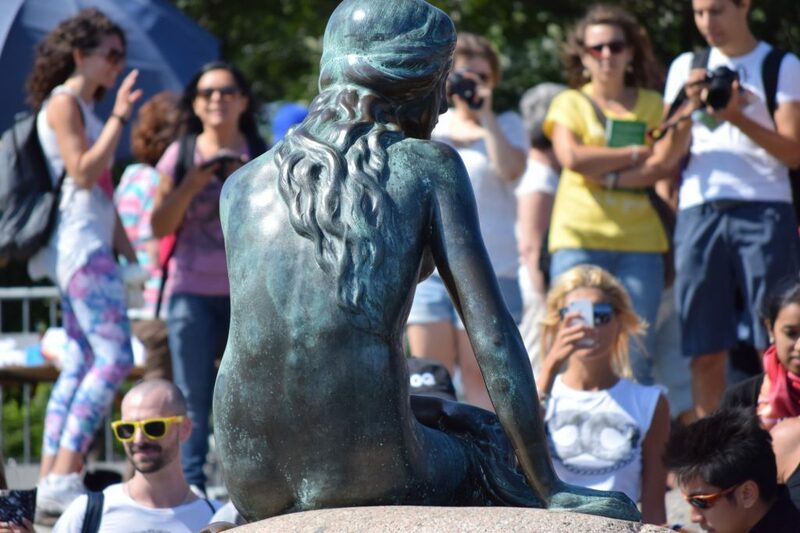 The sculpture by Edvard Eriksen, inspired by Hans Christian Andersen’s fairytale, is hard to spot between the flurry of tourists constantly elbowing each other out of the way to grab a selfie with the maiden of the waves. But selfies aren’t the biggest threat to the statue; she’s had her arm sawn off, had paint thrown at her, been dressed up in political garb, and been fully decapitated — twice. If she had a say in the matter, she’d likely turn back into a real mermaid and flea right back to the bottom of the sea. The Great Barrier Reef is the world’s largest ecosystem, but it won’t be for much longer if it continues to decline at such a high rate. 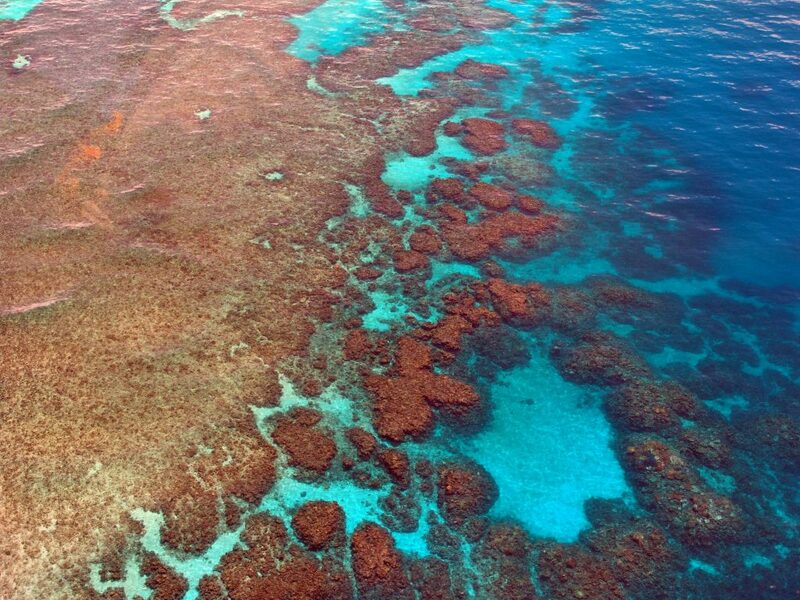 Stretching over 1,400 miles across the Queensland coast, the reef has begin a darling of the tourism industry with hundreds of people swimming, boating, and flying out daily to see the wonders of the World Heritage listed reef. Climate change is the biggest threat to the spectacular marine diversity, but mass boating pollution and careless tourists are not doing it any favours. With more than 820 tour companies operating in the area, the traffic on the reef is substantial. In certain places, it’s difficult to find Nemo between the sheer number of elbows and goggles from other snorkelers. The best practice is to book a small boat tour and head out to the outer reef. The experience will be far more pleasant and less abrasive to the fish and coral. 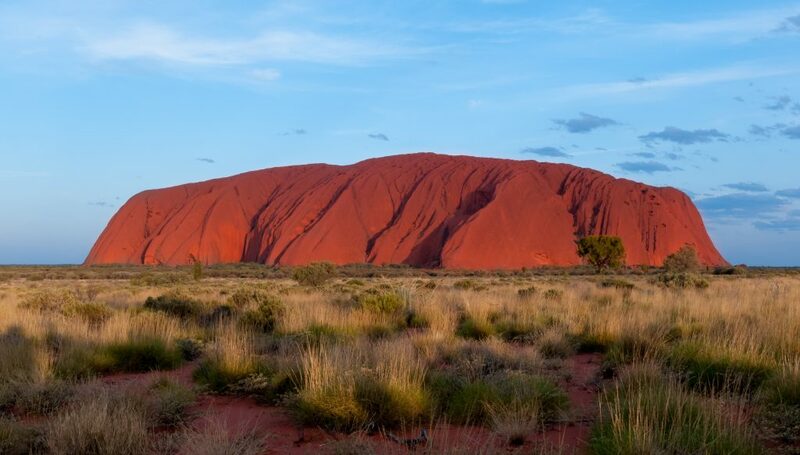 There’s a whole lot of nothing surrounding Uluru, or Ayers Rock, but visitors flock in their hundreds nonetheless. The red sandstone rock is undoubtedly fascinating, but an increasing number of tourists disobeying the rules and climbing the megalith have left it worryingly damaged. The stream of backpackers, busloads and coach parties that rock up to see the sunrise and sunset daily leave inordinate amounts of rubbish. Uluru is worth seeing, but responsibility is a must. 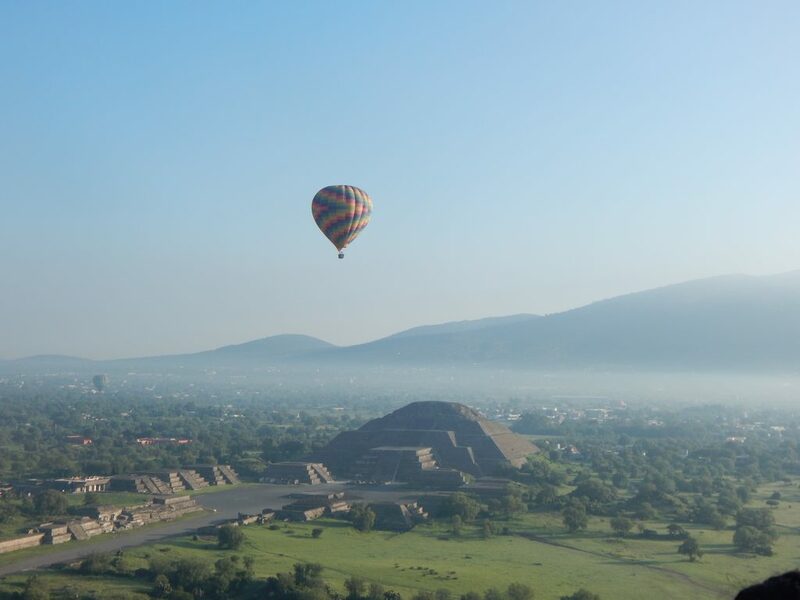 In Teotihuacán, there are two pyramids: the Pyramid of the Sun and the Pyramid of the Moon. A short day trip from Mexico City and the most popular archaeological site is set before you. Millions descend every year to mob the sacred structures, as well as the touts and vendors that follow them. 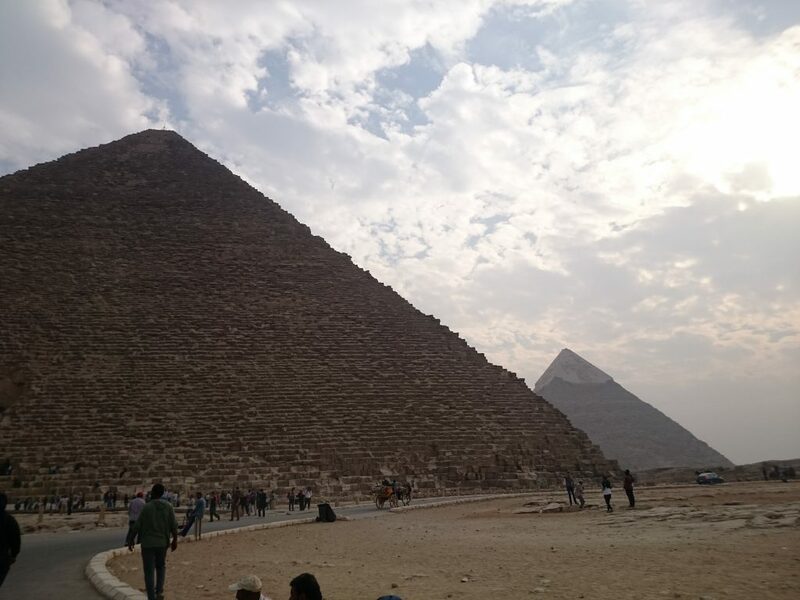 Stares aren’t so much a threat to the pyramids, believed to garner special energy, but the constant clambering up and down the steps is a major concern. The Great Pyramid and the Sphinx have survived for almost 5,000 years. They’ve watched over the sands of time as dynasties changed, civilizations evolved, armies plundered, and the pharaonic rule passed into shadow. They have stood facing the harsh desert elements and won out, but they’re facing a hard battle against tourism. Decades of crowding, footsteps, and even theft of ancient rock have all taken their toll on the immense structures. Paris as a whole is continually saturated with people packing into the parks in front of the Eiffel Tower and forming queues days long to smile back at the Mona Lisa. 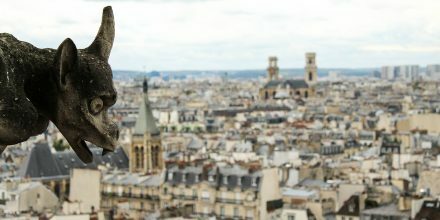 Setting aside the eyesore that is a Paris crowd in peak season, there are certain tourist activities that are causing harm to the city itself. Pont Des Arts Bridge was on the brink of toppling fully into the Seine from the weight of love locks clasped onto its railings — before the railings were replaced with solid frames. 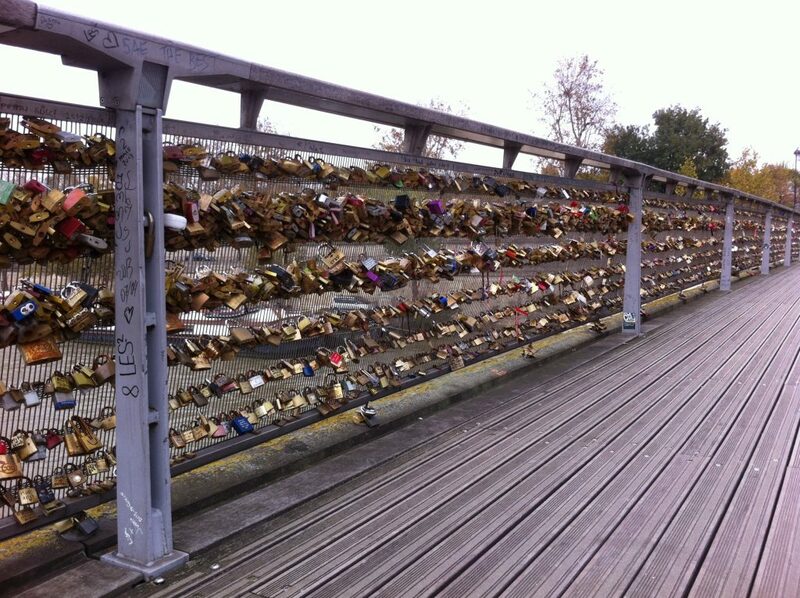 Paris is the most romantic place in the world, so they say. But next time you’re taking a wander with the love of your life and you see a bridge with some padlocks on it… take a selfie, give a dollar to charity, buy a homeless man a cheese platter, just don’t add another lock to the bridge! Curiously, just being in a place and soaking up the wonder of the surroundings is not enough for some memento-seeking travellers. 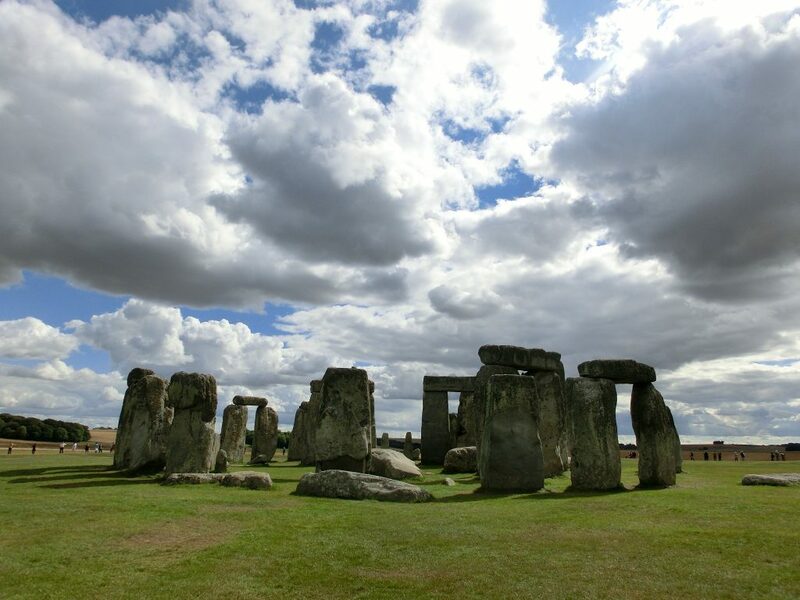 For somewhere between 4,000 and 5,000 years, Stonehenge has stood the test of time, weathering the elements and surviving through global changes. Sadly, parts of it are sitting on the mantelpieces of visitors who thought it might make for a cool souvenir. Stonehenge is now roped off except during the summer solstice, and the autumn and vernal equinox, when everyone gathers in celebration of the sun. 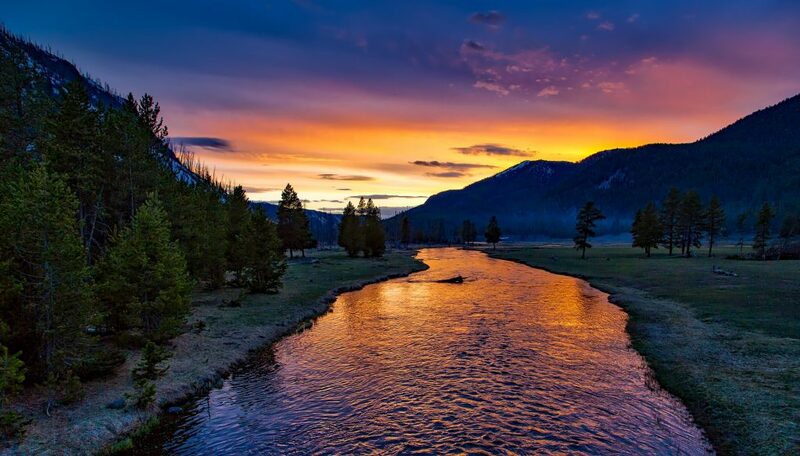 In recent headlines, the government shutdown has caused millions of dollats in devastation to some of America’s most breathtaking national parks, with parks remaining open despite the absence of rangers. Tourists were left to their own devices and chaos ensued — everything from people wandering off designated pathways to toilets becoming condemnable. The Joshua trees in Joshua Tree National Park were cut down, and immense quantities of garbage littered the parks. This posed serious threats to wildlife and the delicate ecosystem, as well as a risk to humans fron black bears in places such as Yosemite. Many of the parks went into emergency shutdown as millions in damages were caused overnight. A team of passionate volunteers stepped in to help with the mass clean up, but it left a bitter taste in the mouth of many nature lovers, and in some cases the damage was pretty much irreversible. 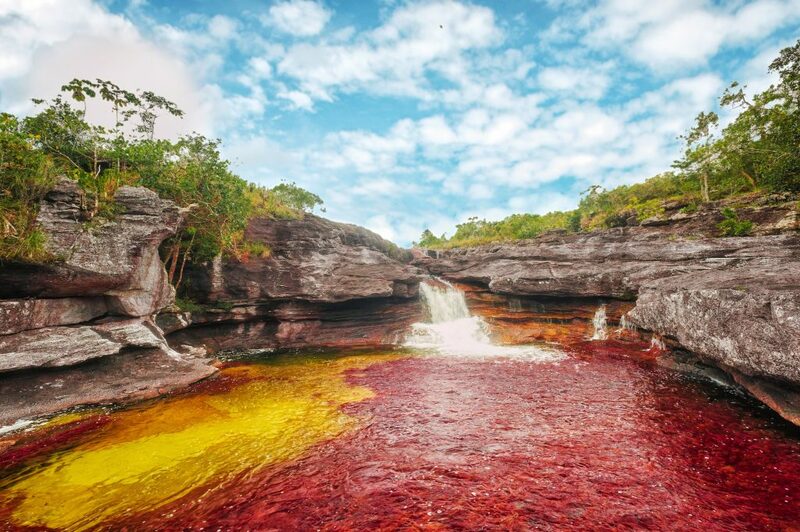 The Caño Cristales river in Colombia is known for its vibrant red hue, which makes it look like a massacre has taken place in the water. It’s actually microorganisms that turn the water a number of peculiar colors — from pink to red to green to blue. Too much tourism and irresponsible behaviour (getting in the water and trampling the surrounding flora) damages the delicate ecosystem. If it continues, before long the Caño Cristales will be just another river system rather than a unique phenomenon. 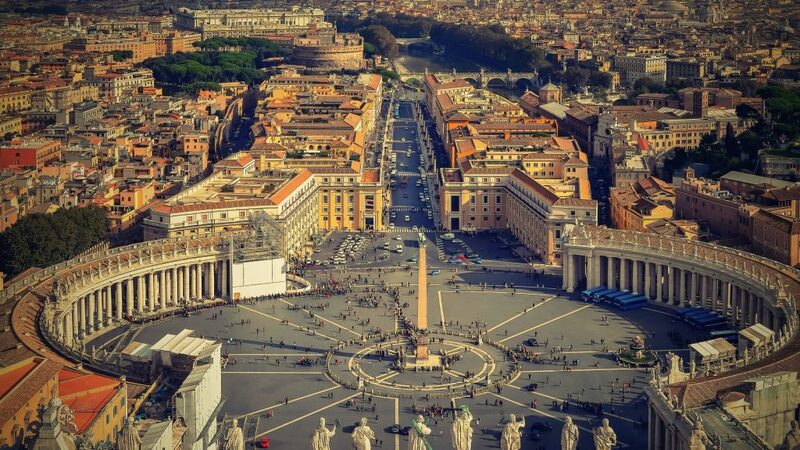 Rome wasn’t built in a day, but it can be vandalized in minutes. Careless visitors to the city’s ancient ruins have taken to defiling them. A tourist from Ecuador was fined $23,000 in 2017 for carving his name into the Colosseum. Inside the Vatican museum, the swelling crowds of tourists are causing an unquantifiable amount of damage to restorations and historical pieces simply by breathing. The now not so delightful Conundrum Hot Springs in Colorado have become a risk of serious infection. Once remote and unknown, the few people that did know about them geotagged them on Instagram. Now a relatively pleasant hot pool in the wilderness is becoming a wilderness toilet as tourists literally have nowhere else to… *ahem* go. 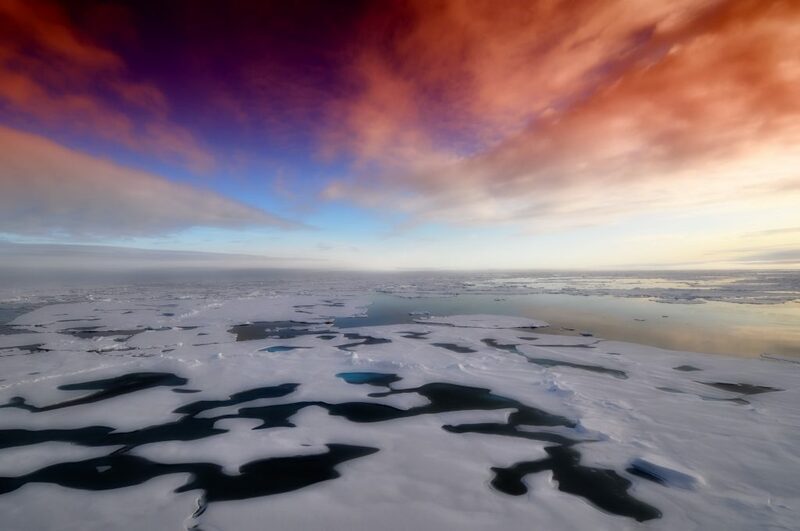 The future of Antarctica is still unknown, with constant studies monitoring climate change and geothermal warnings. Visitors are fascinated by the colossal glaciers and harsh landscapes, but the constant flow of cruise ships are increasing water pollution around the Antarctic Peninsula. There is a limit set to control the people on shore to 100 at a time. When visiting Antarctica, always choose an environmentally conscious company that strictly adheres to procedures protecting Antartica. 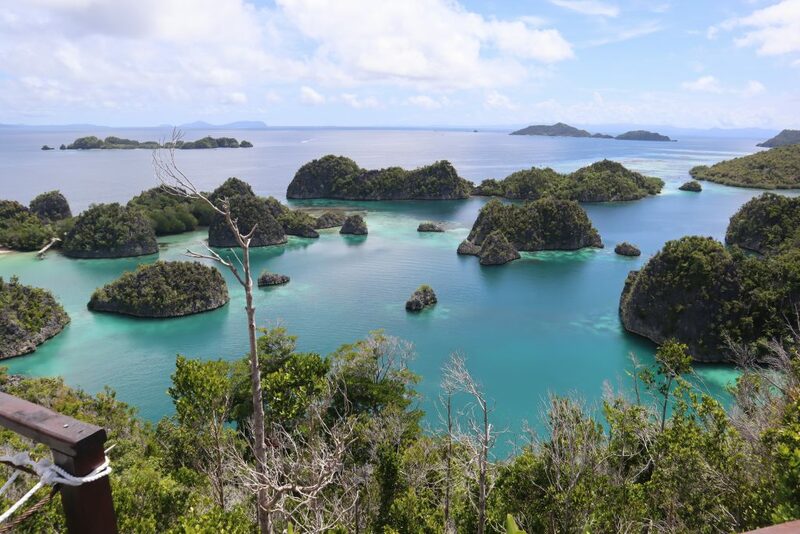 Raja Ampat is an archipelago off the island of New Guinea known as “the Four Kings.” It’s made up of four large islands and numerous tiny ones. In 2017, a cruise ship ran aground on the reef and damaged 1,600 square kilometres of coral. The cost was an estimated $1.28 – $1.92 million to repair. And that’s just one cruise ship. The recovery time for the coral reef takes is measured in decades. This truly breathtaking Indonesian archipelago with some of the richest marine biodiversity in the world could soon be a patch of bleached ruin if we’re not careful. 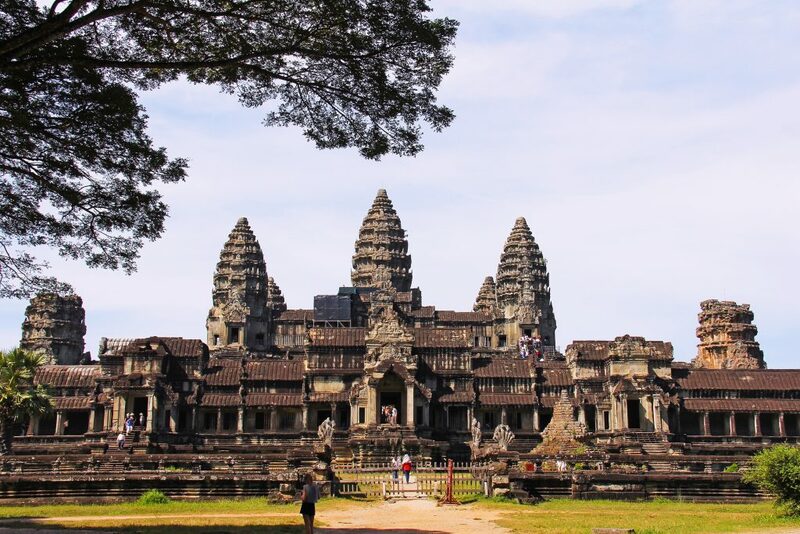 Angkor Wat is a true gem of a historical site and everyone agrees to that. Visitor numbers grow year after year to visit the fascinating temple complex despite the rising entrance fees for foreigners — an attempt to curb the impact of mass tourism. Though it hasn’t been a ‘lost’ world for decades, as portrayed in the Tomb Raider films, the temple certainly loses a bit of its charm when you have to battle through the hoards of tourists to take in the sacred site. The intricate carvings and the fragile sandstone structures are also at risk from the number of bodies clambering all over them on a daily basis. The crumbling ruins are not the only worry in Cambodia; the country has a dark side when it comes to child labour. Orphans on the street try to sell you souvenirs or ask for things, especially around the heavily trafficked tourist hotspots like Angkor Wat. They’re sweet and they certainly need help, but you do them no favors by buying their wares. Touts have cottoned on to the orphan market when it comes to tourists, and purposely build ‘orphanages,’ to tempt cash flow from unsuspecting visitors. It’s a fierce market and children are incentivized to pretend to be orphans for the income, with parents even abandoning their children to the cause. 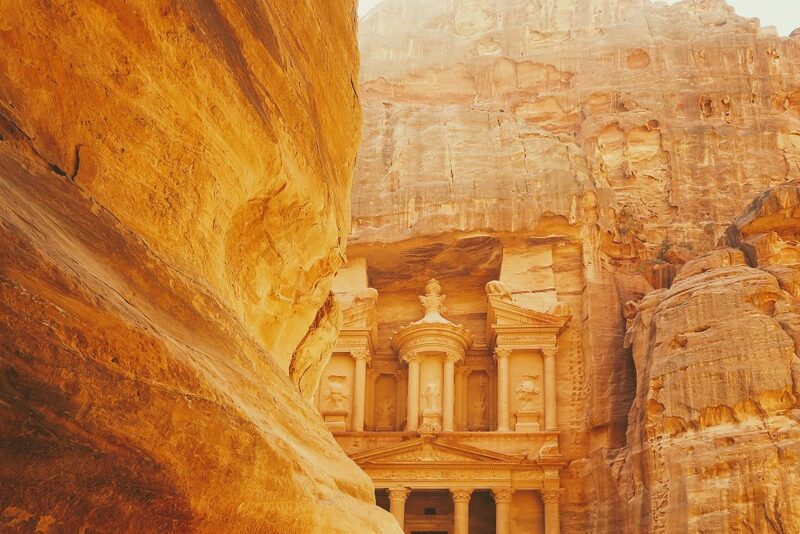 It’s not enough for some travellers to enjoy the majesty of Petra with their eyes. 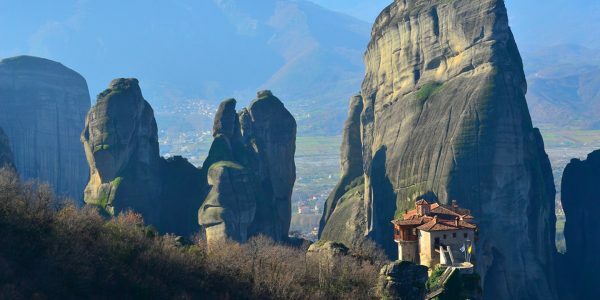 Some have taken to climbing up the monastery steps on donkeys, leaning on and sometimes defiling the delicate sandstone walls with graffiti. The Theatre’s stone masonry markings have been reduced from 15-20% visibility to 5-10% between 1990 and 2005, a result of people touching and rubbing the carvings. Petra’s touts are also known to loot the precious sites to provide souvenirs for naive travellers. Refusing the fund the practice takes away the incentive for them to loot. The Petra National Trust has plenty of advice for responsibly visiting the ruins and should be adhered to so we can preserve the site and appreciate the wonder for centuries to come. The Bahamas pigs of Big Major Cay Island are famous for being cute, talented, and effortlessly adorable, swimming around the clear waters of the Bahamas like they have no cares in the world. Appearances can be deceiving. No one is quite sure how the pigs ended up there in the first place, but it soon became clear they were a profitable source of tourism. There’s a ton of speculation that the older pigs are killed and replaced with younger, cuter models. Even more shockingly, many pigs have died due to being fed alcohol and unhealthy food by ignorant tourists. 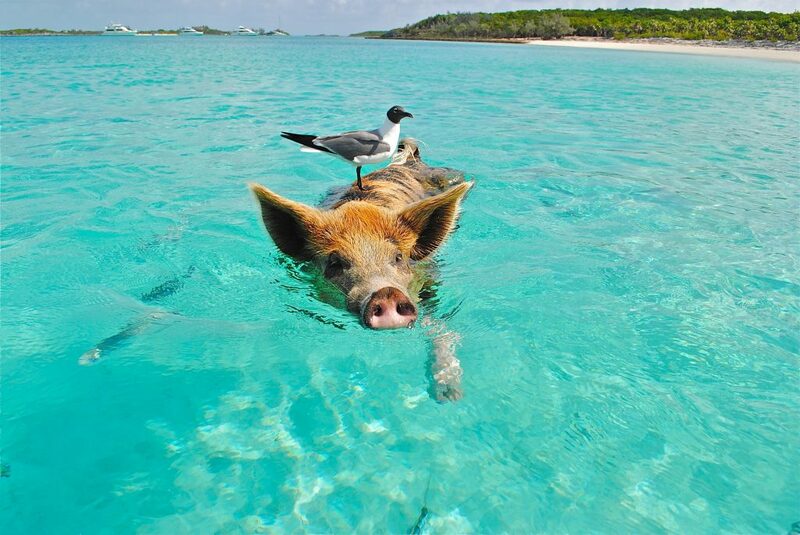 As they became popular on social media, more and more people flocked to the island to capture the perfect swine selfie, as well as to ride the poor creatures and cause damage to the island in the form of pollution and vandalism. The pigs would be far better off if they were left to their own devices in their little corner of paradise. One of the swimming pigs of the Bahamas. In Cuba, it’s a double-edged sword. The economy is greatly boosted by visitation, but the tourist sector is literally starving out locals across the entire country. The price of hotels, food and amenities have skyrocketed as a result of the tourism boom. The steep prices have become much too high for locals to afford. 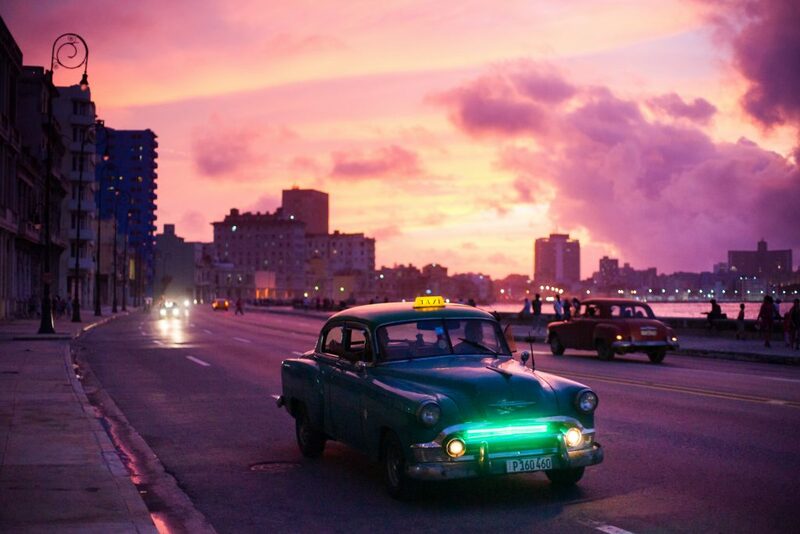 The Cuban government is imposing price caps on certain products, but Cuba’s stability still remains uncertain. Think about that next time you’re sipping on a pina colada with a slice of pineapple on the rim that you have no intention of eating in front of the Cuban child a few yards away who’s mother can’t afford it. Instead of reaching out for the most popular destinations to visit in 2019, let’s get off the beaten track. Let’s discover the lesser-known places that are just screaming out for love. Let’s give these islands, these beaches, these historical sites and ecosystems time to rest and recover. Because one day they will flourish again and we can feel grateful for what we have achieved, instead of lamenting what we have destroyed.